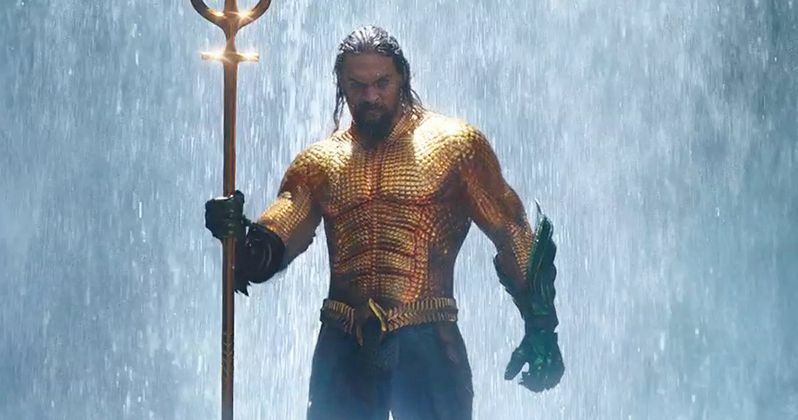 Aquaman has secured a release date in China a full two weeks ahead of its scheduled debut in theaters domestically. Warner Bros. hasn't released a live-action DC movie since Justice League arrived last November which, to say the very least, didn't go according to plan. But enough time has passed and people seem to be ready to see Jason Momoa as the Atlantean hero on the big screen. Now we know those in China are going to have the chance to see it quite a bit sooner than the rest of the world. According to a new report, Aquaman will wash up on Chinese shores December 7. That's a full week before the DC Comics adaptation begins to roll out internationally and two full weeks ahead of the currently scheduled December 21 release date in the U.S. Fairly often, movies open overseas ahead of their scheduled domestic debut, but China is quite often the exception to that rule, given how the country limits the release of foreign productions in theaters and the process movies must go through to secure a release there. But things are shaking out a bit differently this time around. Overall, it's another interesting wrinkle for Aquaman, which comes from director James Wan. In addition to coming with the burden of expectations, in terms of quality, this movie must perform at the box office. And that's starting to look tricky at the U.S. box office. On December 21, Bumblebee, Holmes and Watson, the PG-13 Christmas version of Deadpool 2 and, to a lesser degree of impact, Welcome to Marwen, are all also set to arrive on that date. That represents a tremendous amount of direct competition. It's seemed for some time that someone might back off of that date and Warner Bros. could do well to bump up Aquaman at this point. Not only would an earlier date in December represent less direct competition, but now the threat of spoilers for fans looms large, as the movie will be out overseas for quite some time before it reaches viewers in the U.S. At this point, it would seem somewhat senseless for them not to shift the date. The DC brand can't really afford another lackluster earner. What we know for sure is that this is the first time Arthur Curry, aka Aquaman, will be getting a live-action solo adventure. Aside from Jason Momoa, the cast includes Amber Heard, Patrick Wilson, Dolph Lundgren, Willem Dafoe, Yahya Abdul-Mateen II and Nicole Kidman. Warner Bros. recently unveiled an extended trailer at New York Comic Con that was received quite well online. There is a lot of good will built up for this movie at the moment. Will that result in a big box office take? We won't have to wait that much longer to find out. Even less time if you happen to live in China. This was first reported by Deadline.